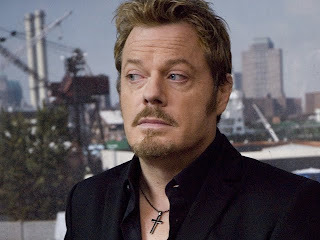 In the writers room at the increasingly salacious series that keeps Every Day family man Ned (Liev Schreiber) employed, Eddie Izzard’s show-runner engages his staffers in a sort of creative game of “perverse plot” poker. Good taste and logic evaporate like the sun and time in a Vegas card room as the screenwriters take each others’ stream-of-consciousness inspired twisted premise and either call their bluff or raise the stakes to create the most outrageous hand they can deal to their viewers as if each episode offered a new variation of an “Aristocrats ” joke. A few decades ago, these scenes might have resulted in wickedly funny Chayefsky or Schulberg style satire. However, when you consider the contents of some of modern television’s most popular and provocative shows (including Day writer/director Richard Levine’s Nip/Tuck ), these scripted discussions ultimately serve as a ridiculously jaw-dropping counterpoint to the very real and relatable issues that Ned faces every day in Every Day . Of course, domestic drama would make for dull television on Izzard’s fictional onscreen series where shock reigns supreme over substance. 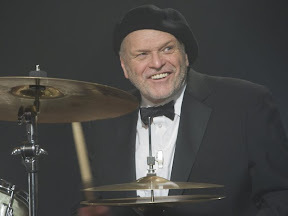 Nonetheless, in Levine’s admirably but overly ambitious semiautobiographical feature film debut that centers on the existential crises of all members of a family along with the arrival of the chronically critical, blunt and depressed aging father (Brian Dennehy) of Ned’s wife (Helen Hunt), the mixture of humor and heartache not only rings true but resonates as well. It's a sharply written work right from the start as seemingly mundane activities and would be “filler” conversations comprised of awkward small talk reveal character even before overt action does, which is always important in a low budget film. And Every Day begins on a strong note that manages to carry us through a few clichéd and clunky scenes surrounding the potentially self-destructive behavior of Dennehy. 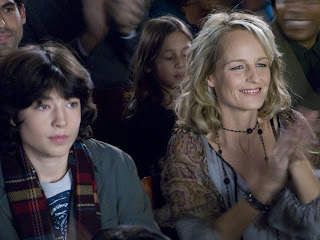 Rather than relying on Magnolia like theatrics that culminates awkwardly in a convenient perfect storm of crises wherein all characters reach their breaking point – in a scene set at an emergency room no less – Levine’s ultimately downbeat but auspicious debut is at its best when it focuses on the little things that make each family member tick on a natural level. And although the over-crowded subplot-heavy 93 minute movie threatens to buckle from the pressure before Ned’s crowded house and stressed family members do the same, Day is elevated by the nuanced portrayals from its cast of seasoned vets including indie actress MVP Carla Gugino along with a pitch-perfect breakthrough turn for Ezra Miller as Ned’s confident but fragile fifteen-year-old gay son. 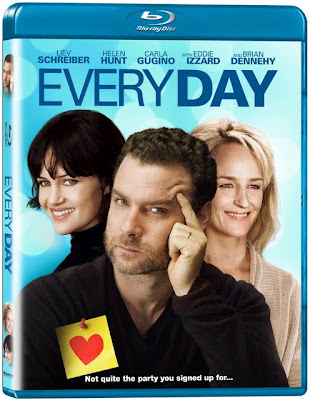 While Levine’s Day may hit a little too close to home for some viewers dealing with medical drama and/or aging parents in their own lives, all in all, it’s a flawed yet humanistic and sensitive production that’s been flawlessly transferred to Blu-ray. And perhaps the most remarkable thing about this film that flies in the face of “shock-tastic” entertainment is the realization that in the end, Every Day heroes are regular people fighting battles big and small – from doctor visits to school lunches – all in the name of family.